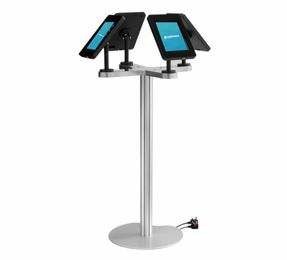 One World Rental have in stock a wide range of heckler stand, bounce pad and iPad floor stands available, for short term rental to suit all event types. For small or large conferences, workshops and exhibitions, we want to overcome any security concerns our clients may have. We will come to your event location to install, setup and secure all technology products, whether they are displayed on the wall or on a counter we can adapt to suit your needs. 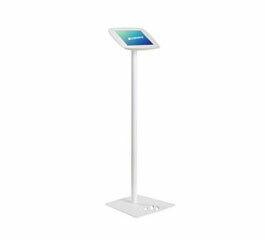 Our range of stands can be fully branded to meet your event requirements and compliment the look and feel of your event. If you would like to know more on our range of stands available for rental including bounce pads and heckler, then contact us today for a free full consultation and a competitive quote. 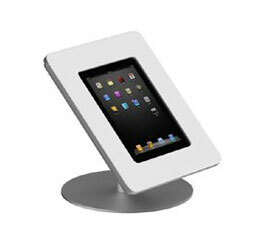 This Moonbase stand is versatile and combust in holding an iPad for your event. The 45° screen sharing and 330° rotation is a key feature of this product. 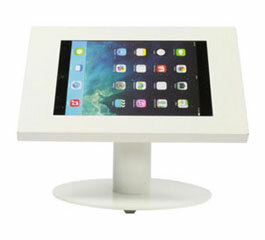 Easy to use and secure iPads, great for busier events where registration or check-in of guests maybe required. 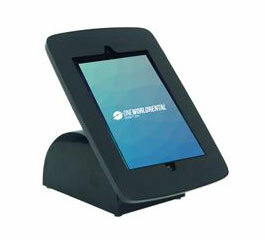 One World Rental can supply an excellent solution for interactive digital signage, kiosks and interactive presentations. 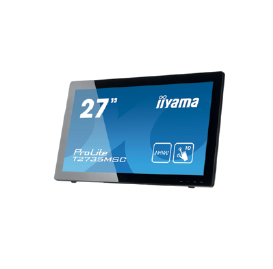 Have a look at the iiyama 27” Touchscreen providing you with wide viewing angles and a larger work space.